Yes, a year can make a lot of difference! 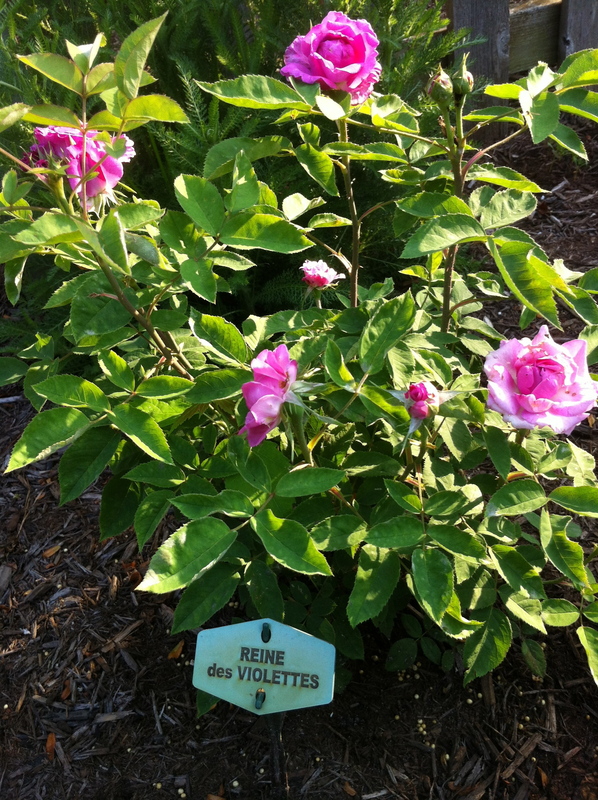 I started a new rose bed on a very hot July day last summer when I visited a local garden center and was introduced to THE GRANDE DAME … To read about her, click here. 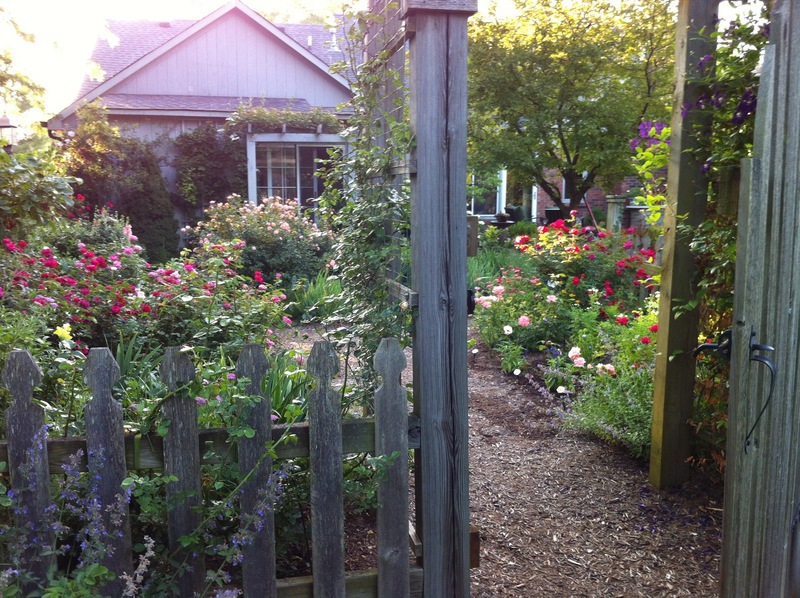 Let me back up and tell you that a couple of years ago I told Mr. G that I would keep all my roses inside the “garden fence” as a means of self control. I’m not sure he believed me, but I “thought” I would make good on the promise. 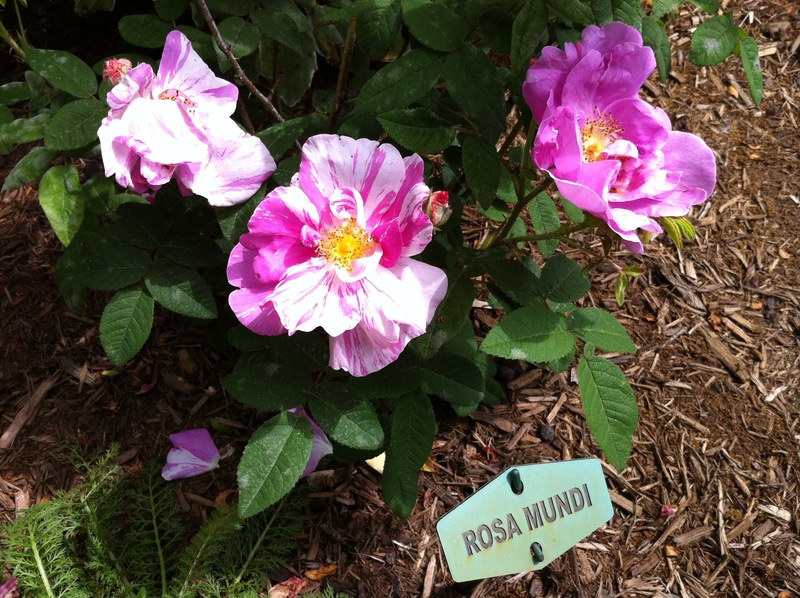 Then, I get involved in Twitter #RoseChat and Blog Talk Radio and hear about so many beautiful roses. 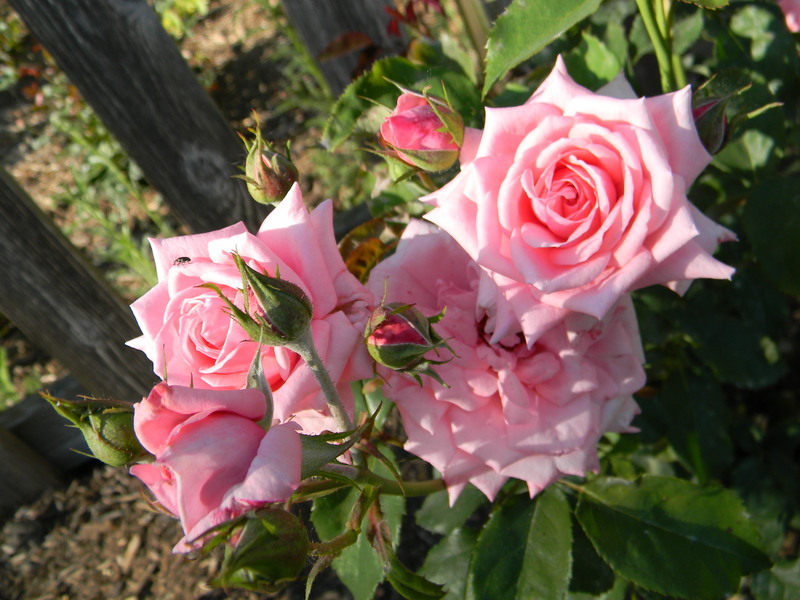 It is so easy for me to succumb to rose envy. So, enter THE GRANDE DAME and her promises … I “needed” a new bed. Did I mention how hot it was last July! 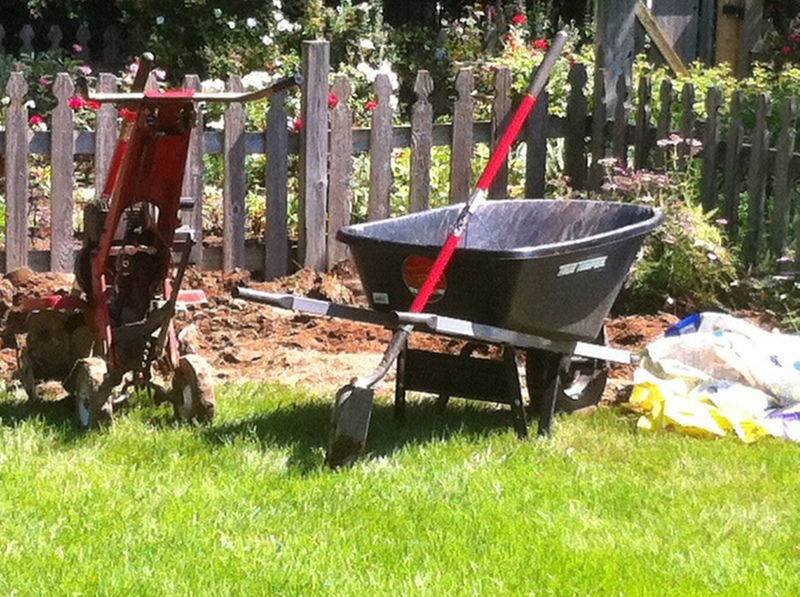 As I’m sure you know, when a new bed is so new that you first have to remove the grass, that is a great deal of work. 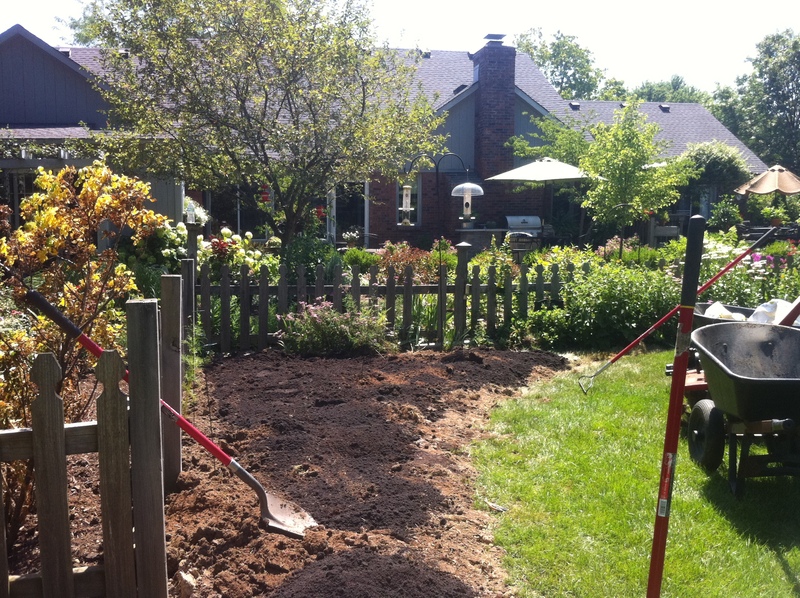 We double-dug the bed, used a tiller, added peat moss, compost, aged manure and few other great things to improve our clay soil. It was big job but not our first! Mr. G is really the very best husband in the world and he is always up for a project! 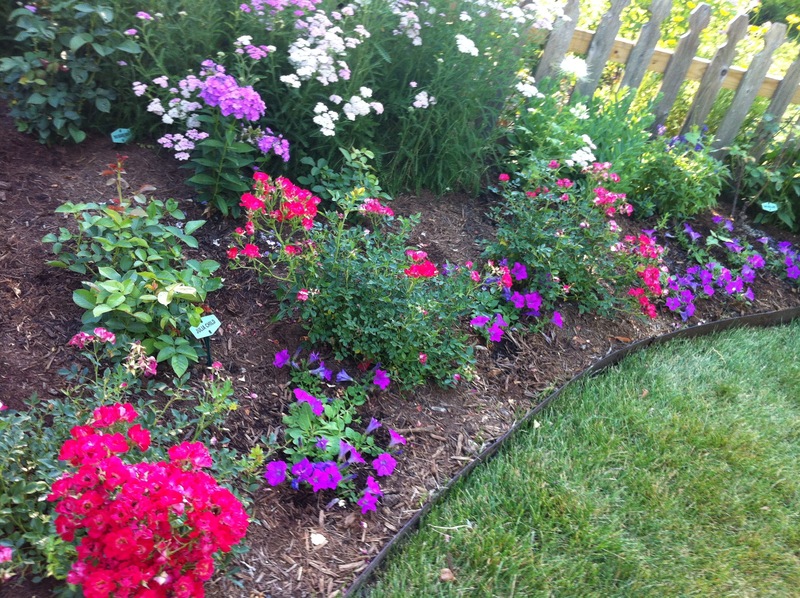 …And a big combination of annual and perennial companions to show them off perfectly. Some are still very tiny and will need a couple of years to reach their potential but I have plenty of time. 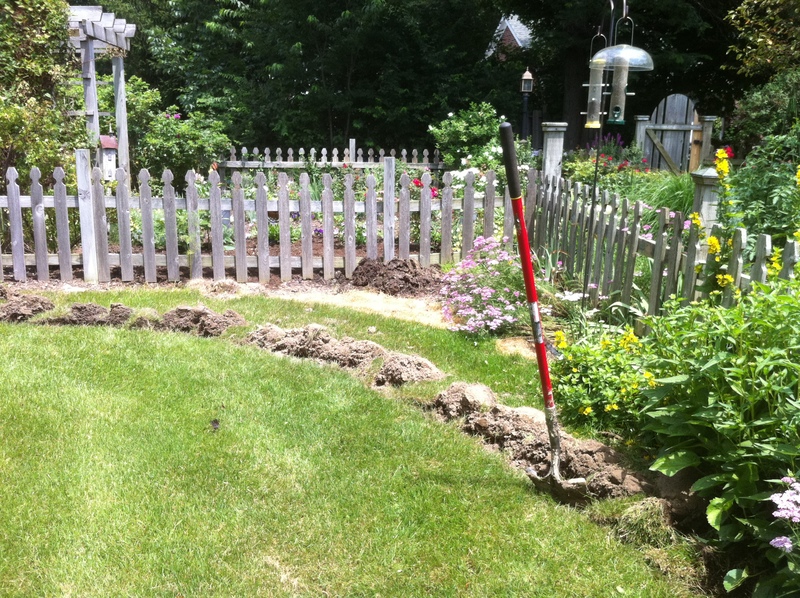 Mr. G says it is okay that I didn’t keep the “garden fence” promise and he is very sure there are many more roses in our future. Yep, he is the B E S T! 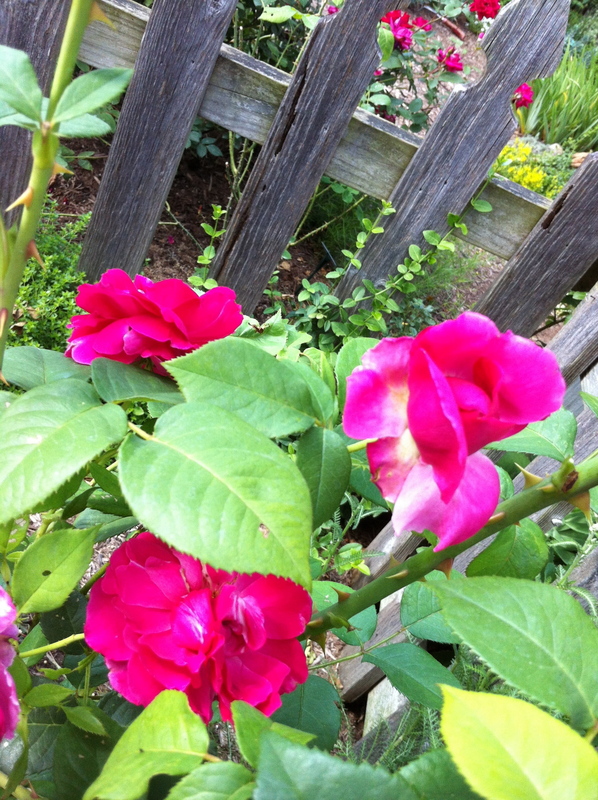 If you wonder why I grow roses, click here. Your garden is absolutely beautiful. I love your combinations of flowers. Would like to see your garden some day! Hello!! Today it is 100 degrees and it has been six weeks since we’ve had rain… So the signs of stress are all around even though we water. Come on up sometime! 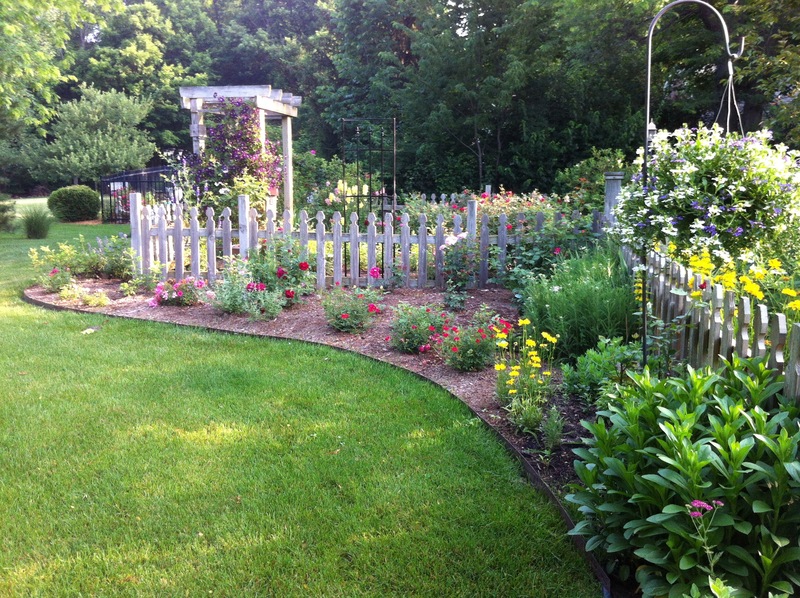 Your garden is beautiful too! Very interesting, and lovely pictures too. Thank you.